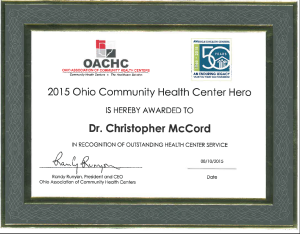 Congratulations are extended to Dr. Christopher McCord who has received the honor of 2015 Ohio Community Health Center Hero. 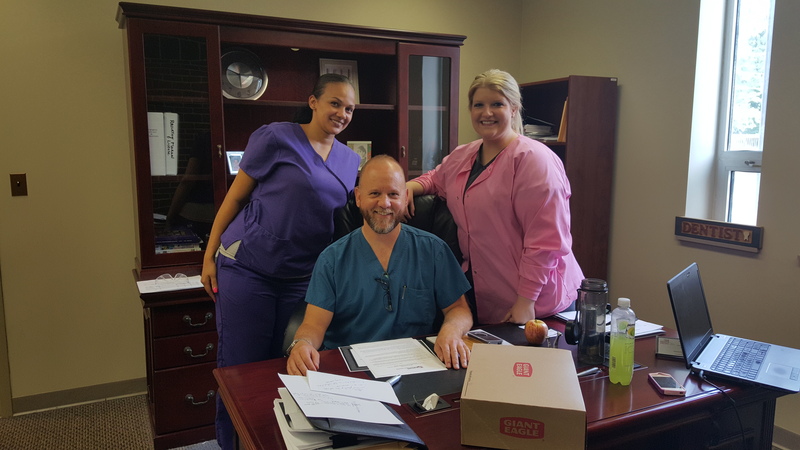 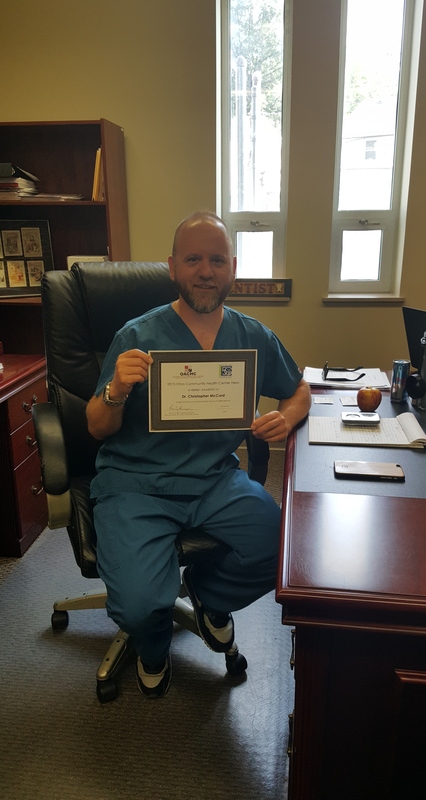 Dr. McCord is ONE Health Ohio’s Dental Director and a dentist who provides outstanding care to our patient’s at the Lloyd McCoy Health Center. 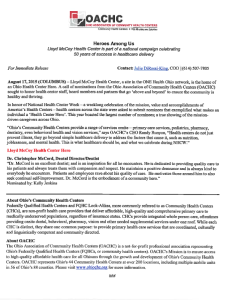 The award is presented by the Ohio Association of Community Health Centers (OACHC) during National Health Center week as way to honor health center associates that go above and beyond to ensure the community is healthy and thriving. 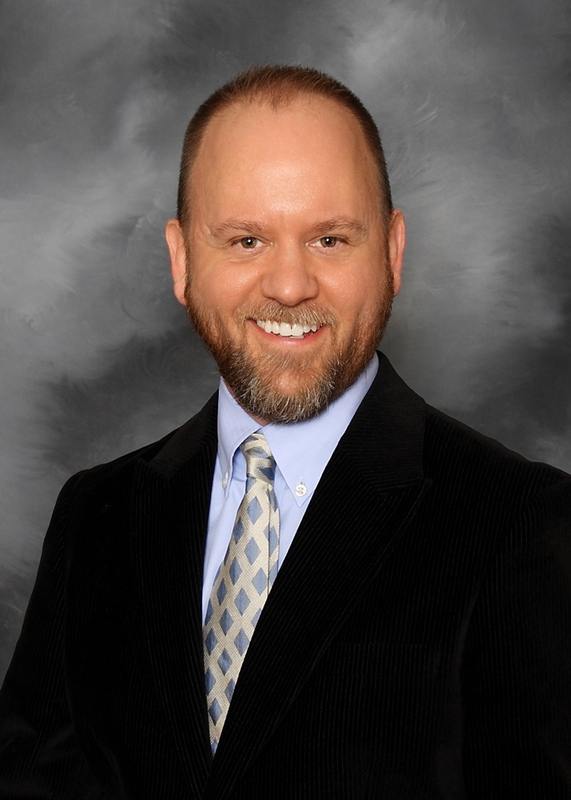 We are truly proud to have him as a hero among us.